For all of the European products we’ve sourced over the years, we sure haven’t brought in much from Greece. Scott recently went on a trip to Greece with his buddy George (Yioryo) and brought back some new products that knocked our socks off. The name “oregano” means “joy of the mountain” and has its origins in the ancient Greek “oros” (mountain) and “ganos” (joy). Fragrant wild oregano grows rampant on the lush mountain pastures of Greece, where it is hand-foraged and used in just about everything from tomato-sauces to restorative teas used for curing indigestion. 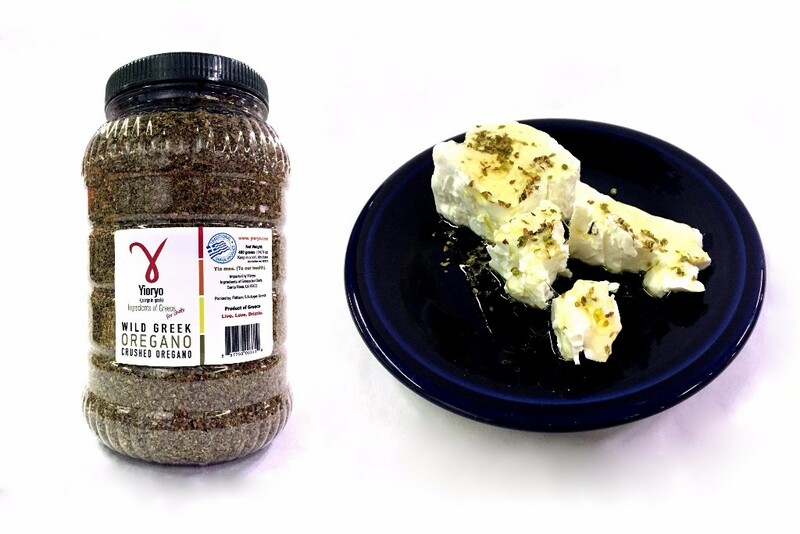 True Greek oregano (Oreganus Vulgare – sometimes called wild marjoram) is a relative to mint. The super fragrant, licoricey aroma hits you as soon as you open the canister, the flavor is peppery and citrusy with earthy undertones. Most people know feta as the ubiquitous cheese crumbles that add a quick bite of sharp, acidity (not to mention salt) to salads. The origins of Feta date back to 800 BC, when sheep and goat milk were staples of the Greek diet. Today, the process of making the brined fresh-curd cheese is remarkably similar to the methods described in ancient Greece. The majority of feta consumed in the United States is made with cows milk, and is dry-packed or crumbled. 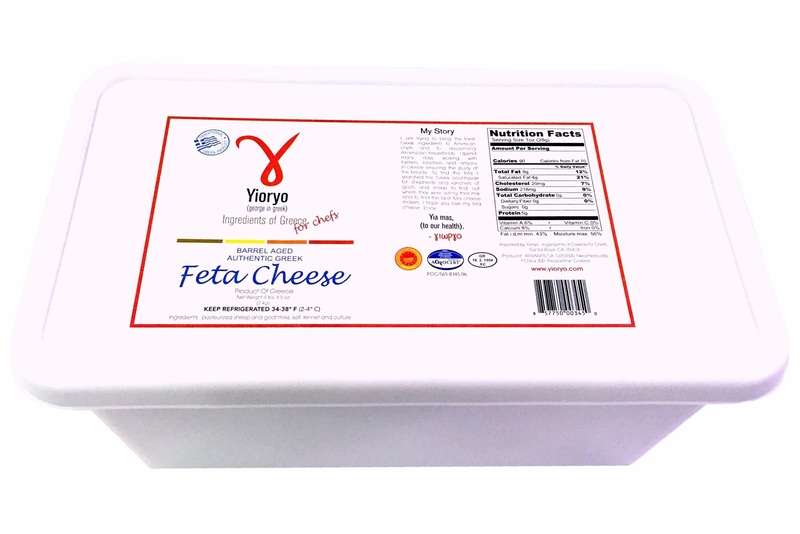 Our new Feta from Yioryo is made using a traditional blend of 70% sheep milk, 30% goat milk, and is aged in traditional oak barrels to round out the flavor. The brine is just as important as the cheese, and so our 2 Kg (4.4lb) trays are packed with the brine to preserve flavor and freshness. Feta quickly oxidizes and turns sour after being pulled from the brine, so it is best to pull what you are going to use, and keep the remainder stored in brine until it can be used up. We like that first thing you can taste is richness of the sheep milk, and a slight goat-y tang – it tastes like more than just salt.